Want to be more creative? Make sure you’re in a positive mood. Research shows that people in a good mood tend to be better at coordinating information, finding relationships among various stimuli and to finding creative solutions. Compared to test persons in negative mood states, they are also able to give unusual responses to neutral words during word association tests. So: a positive state of mind makes you better at creative problem solving because this requires you to spot relatedness amongst seemingly unrelated stimuli. 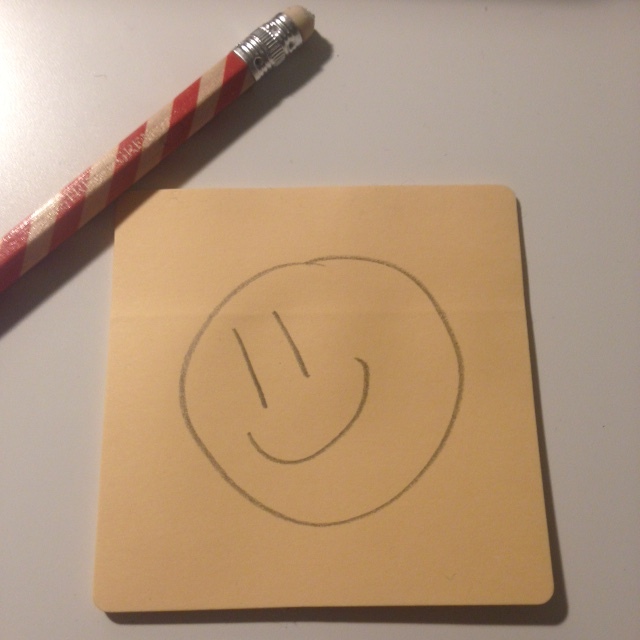 I’m suggesting a smiley on your post-it note as a good start, if you’re not already feeling good! Source: Bagozzi, R.P., Gopinath, M., and Nyer, P.U. (1999). The role of emotions in marketing, Journal of the Academy of Marketing Management, 27 (Spring), 184-206.